Barcelona needs no ad campaigns. 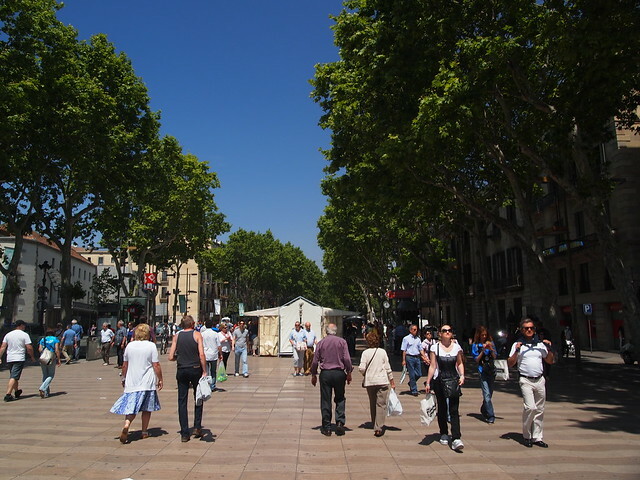 The Catalan capital enjoys a pleasant location, right along the Mediterranean Sea. The city is a stunner, a mish-mash of both Gothic and modern styles. The spirit in Barcelona doesn’t take long to feel. And despite being such an easy choice while in Spain, travelers shouldn’t pass up any of these experiences. Finding good Barcelona apartments next to the major attractions shouldn’t be difficult. Let’s see what Barcelona has to offer. It is no secret Spaniards love football, especially after winning the World Cup in 2010. Those that want to see the intensity of Spain’s football scene can attend a game at Barcelona’s Camp Nou. The massive stadium is actually the third largest in the world. When every seat is filled, it can feel a million times larger. Mostly fathers and sons come to watch a game while munching on snacks brought from home. For the sake of energy, just pray Barcelona wins the match you are attending. While the hordes are all up at Park Güell, you can pleasantly enjoy Parc de la Ciutadella, right in the heart of Barcelona. With countless park benches, the park allows for peace and quiet in one of Spain’s loudest cities. Many enter through the red Arc de Triomf while pondering what this space used to be. Originally a fort, Parc de la Ciutadella was reworked in the 19th century. Aside from the park benches, the city’s zoo and row-boating opportunities, you shouldn’t miss the chance to bask in Cascada, the dramatic fountain in Parc de la Ciutadella. Inspired by Rome’s famous Trevi Fountain and a design Gaudi helped along, Josep Fontesére created a turquoise sea in the middle of a city. Iron gates create an ominous tone. You know something special is behind them. La Boqueria Market, just shy of Las Ramblas in Barcelona, is one of the world’s great produce markets. It is truly more of a cultural experience than anything else. While a traveler doesn’t have much use for produce to prepare, at least grab one of the markets many different flavor combinations of fruit juices. In summer, the cooling drink is welcome, all for just a euro or two. Even if you don’t find yourself a museum person, if there were one museum to visit while in Barcelona, the Picasso Museum would be it. Museu Picasso is easily the most visited museum in the city. Housed off of one of Barcelona’s side streets, the Picasso Museum concentrates mostly on the artist’s formative years. Around the museum, a wealth of shops spring up selling one of kind pieces and trinkets. All classic images of Barcelona usually boil down to a shot of La Sagrada Familia. Still a work in progress, construction first began on March 19, 1882. While it is still not finished, you can get a sense of Antoni Gaudi’s sandcastle creation. You are also viewing a rarity, a tourist attraction before it is completed. While it does cost around 12 euros to enter, the expensive price tag invites you to see a progressing historical construction. The neighborhood close to Barcelona’s Mediterranean meeting sounds too cute to be true, Barceloneta. Head down to the promenade and watch the various costumes worn to the beach. After what seems like hours in the sun, stomachs start to grumble. Barceloneta holds unsuspecting eateries around quiet corners. Seek out La Bombeta, tucked away on a side street in Barceloneta. Both tourists and locals frequent La Bombeta for the good tapas and family vibe. There is most always a wait so put your name in early.